So you’re probably wondering, what’s different about my approach? How does it work? And how can you be sure it’ll work for you? For starters, I don’t believe in a “one-size-fits-all” approach when it comes to women with PCOS. Each woman I work with is unique. Therefore each program I design is tailored to my patient’s individual PCOS challenges, physical and metabolic needs and lifestyle requirements. And while my diet and exercise recommendations reflect the uniqueness of my patients, my goal is always the same – helping you find balance and moderation that fits in your life, so you can focus on the things that matter most to you, like optimizing your health, improving your fertility and finding your true happiness. 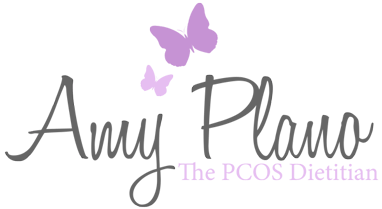 Don’t wait another minute frustrated with your PCOS. Together we can get your symptoms in check and get your happiness back on track. Read through my list of comprehensive, effective nutrition programs to find the perfect fit for you. All packages are available for in-person counseling, via Skype or by phone.